MONITOR ALL THE SYSTEMS HR USES IN A SINGLE, INTUITIVE DASHBOARD. 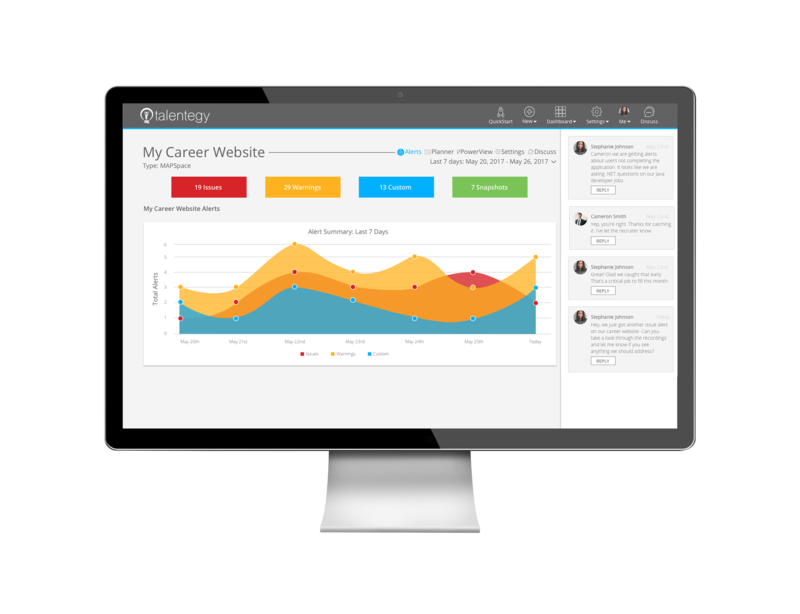 Talentegy monitors every single user interaction across HR systems and uses both business rules and machine learning to only alert on activities that need review. An alert is automatically pushed to the administrator via email or SMS and provides all the necessary information to diagnose and address raised issues. With our Smart Tag technology you are up and running in minutes. There's no need for in-depth IT involvement or integrations. 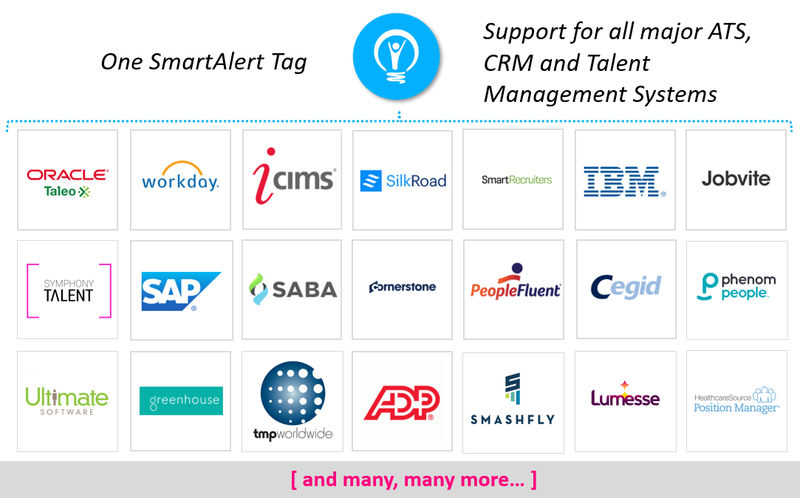 Our Smart Tags allow you to take advantage of all your existing HR technology investments and bring multiple processes and systems together into one view. 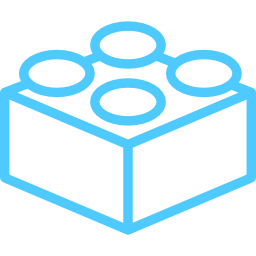 Talentegy lets you deliver significant value for your business by quickly identifying, prioritizing and removing friction points in the user journey. Seeing is believing. When warnings and issues are triggered, watch replays of your user's browsing sessions to visualize exactly what they’re seeing and doing on your career site or inside your software systems. Desktop or mobile – everything is captured, enabling proactive, strategic optimizations based on actual user behavior patterns. Understand how users move through and interact with your content by viewing recordings so you can see where users are encountering problem areas. And if you work with multiple technology providers, this also supports any reproduction cases to get to the resolution fast. If an end user error is encountered, Talentegy automatically logs the error, the call stack and even the line number and position where the error occurred in the code. The error is also plotted on the recording timeline so you can see exactly when and where it occurred and all the important related information like device, operating system, browser and screen size.